Kawasaki bikes are going really cheap this Holi as a Mumbai-based dealer is offering exclusive discounts via a limited period flash sale. Check all details here. As the festival of colours is widely celebrated across India in its fullest glory, Kawasaki is giving reasons to upgrade bikes with offers like you've never seen before. On March 20, Kawasaki's Mumbai dealership, Anzen Kawasaki, has announced a festive flash sale where it will be offering discounts up to Rs 2.5 lakh on its wide range of motorcycles along with no cost EMI. Kawasaki's Holi offer is certainly one that shouldn't be missed if you've been considering buying a new bike this year. The Holi flash sale will only be live between 7 PM and 12 PM on March 20, Rush Lane reported. During this limited time period, there will be some exclusive offer to those who pay a visit to the Anzen Kawasaki dealership. According to multiple reports, buyers can fetch discounts of a minimum Rs 30,000 and up to Rs 2.5 lakh on Vulcan 650, Z900, Z900 RS, Z650, Ninja 300 ABS, KX 250 and KX 450 bikes. But that's not it. There will be no cost EMI or finance with zero rate of interest option for buyers, an offer that is already live in the dealership and will be offered on top of the lucrative discounts. For those who do not mind the finance ROI, there is another reward waiting. 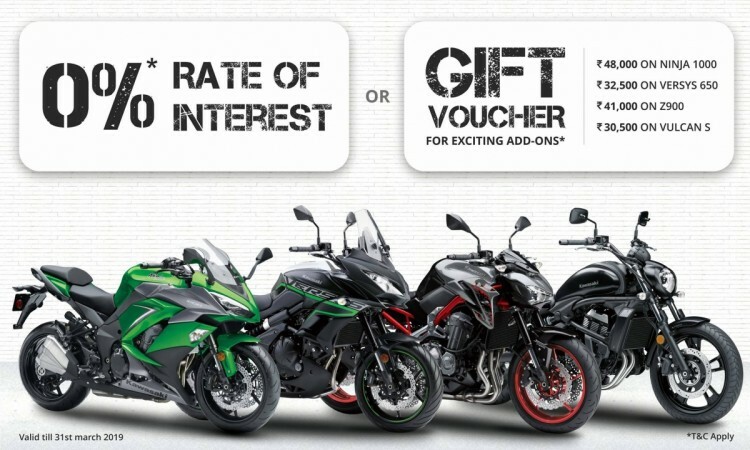 Depending on the bike you choose, Kawasaki will give gift vouchers. For instance, Ninja 1000 gets a gift voucher worth Rs 48,000, Versys 650 fetches Rs 32,500 worth vouchers, Z900 will get Rs 41,000 worth vouchers and Vulcan S buyers can get Rs 30,500 worth vouchers. We reached out to Anzen Kawasaki dealership to get more details on the latest Holi flash sale, and the representative was not at the liberty to disclose details before the sale. The Kawasaki Holi offer is exclusive to this Mumbai dealership while there are no such offers from other dealers across India. With such offers, Kawasaki is sure to meet its sales target for the month. In February, the company recorded 675 percent YoY growth in sales of Kawasaki bikes with 186 total units sold compared to 24 in February 2018. Even the flagship bikes such as Ninja 1000 witnessed a spike in sales with 33 units sold in Feb-19 as compared to 8 units in the same month last year. 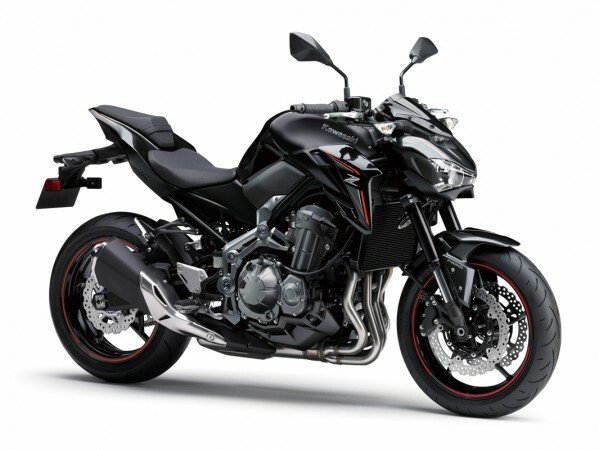 The Z900 sales stood at 49 units last month, a respectable boost from 29 units in Feb-18.